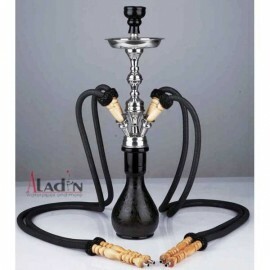 Multiple Hose Shisha Pipes There are 2 products. Multiple hoses shisha hookah pipes including 2 hose shisha pipes available in a range of colors and sizes, 3 hose hookah pipes for sale with starter kit and 4 hose hookahs like the Aladin Diwan pipe that is also available as a 6 hose hookah pipe. ideal for taking your shisha to parties to share with your friends.